2012. Nishimura, Shigehiro. 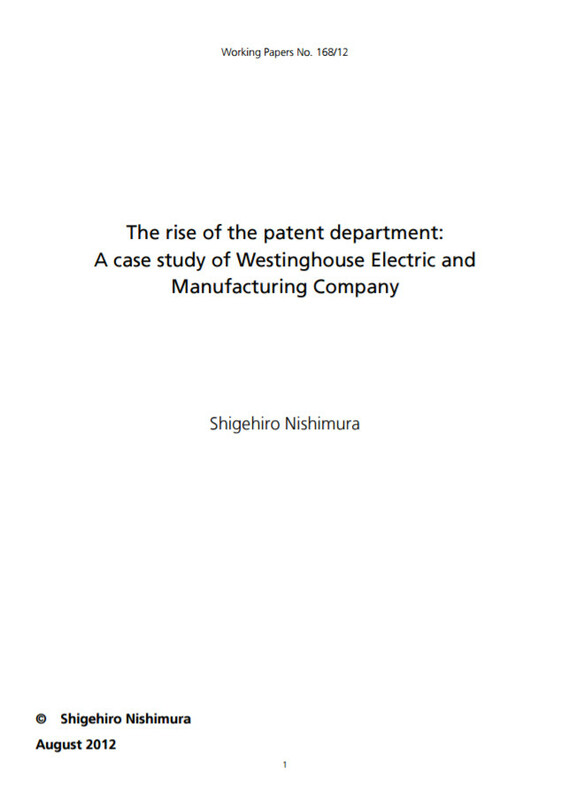 The Rise of the Patent Department: A Case Study of Westinghouse Electric and Manufacturing Company, Economic History Working Papers, 168/12, London School of Economics. 2016. Nishimura, Shigehiro. "The Making of Japanese Patent Culture: The Impact of Westinghouse's International Patent Management", Kansai University Review of Business and Commerce 2016, (23-47). 2016. Nishimura, Shigehiro. International Patent Management in Japan: The Formation and Development of Local Patent Management via Cooperation between GE and Toshiba, Yuhikaku Publishing. Tokio. 2016. Nishimura, Shigehiro. "The Rise of the Patent Department: An Example of the Institutionalization of Knowledge Workers in the United States", Entreprises et Histoire 82, (47-63). 2016. Galvez-Behar, Gabriel; Nishimura, Shigehiro. 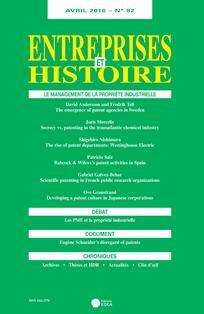 "Managing Industrial Property: Some Historical Perspective", Entreprises et Histoire 82, (5-10). 2015. Nishimura, Shigehiro. 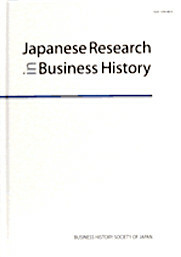 "An Approach to Global Business History: How the History of International Busines Relations Has Shaped the Field", Japanese Research in Business History 32, (61-81). 2014. Nishimura, Shigehiro. "The Adoption of American Patent Management in Japan: The case of General Electric", in Donzé, Pierre-Yves; Nishimura, Shigehiro (eds. ), Organizing Global Technology Flows: Institutions, Actors, and Processes, . New York / London. 2014. 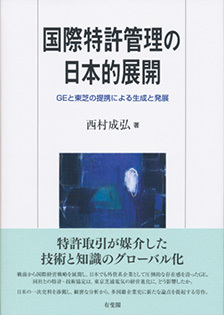 Donzé, Pierre-Yves; Nishimura, Shigehiro (eds.). Organizing Global Technology Flows: Institutions, Actors, and Processes, Routledge. International Studies in Business History. New York / London. 2014. Donzé, Pierre-Yves; Nishimura, Shigehiro. "Introduction", in Donzé, Pierre-Yves; Nishimura, Shigehiro (eds. 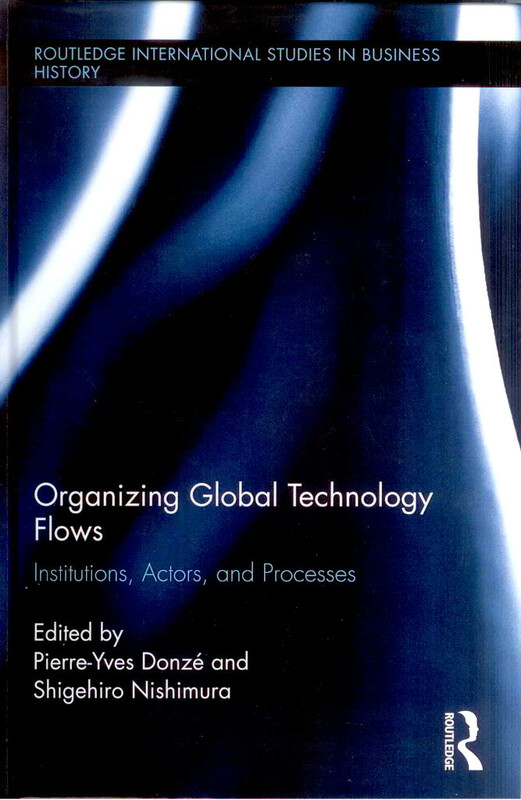 ), Organizing Global Technology Flows: Institutions, Actors, and Processes, Routledge. International Business Studies. New York / London. 2014. Nishimura, Shigehiro. 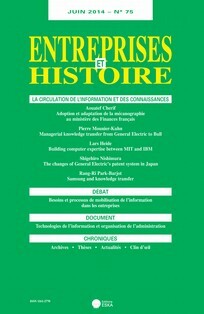 "International Knowledge Transfer in a Multinational Enterprise: General Electric's Patent System in Japan until the 1950s", Entreprises et Histoire 75, (73-90). 2012. Nishimura, Shigehiro. "Patenting in the United Kingdom and Japan: Subsystems that Determined MNEs' Patent Policy", Business and Economic History On-Line 10, (1-27). 2011. Nishimura, Shigehiro. "International Patent Control and Transfer of Knowledge: The United States and Japan before World War II", Business and Economic History On-Line 9, (1-22). 2011. Nishimura, Shigehiro. "The Organization of Corporate Patent Management in US Companies: A Case Study of the Thomson-Houston Electric Company", Kansai University Review of Business and Commerce 13, (41-63). 2010. Nishimura, Shigehiro. 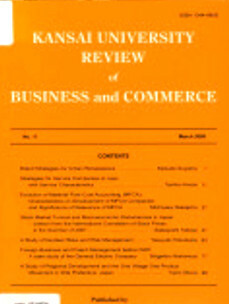 "Diffusion of Intellectual Property (IP) Management after World War II: Role of the Japan Patent Association", Kansai University Review of Business and Commerce 12, (19-39). 2009. Nishimura, Shigehiro. 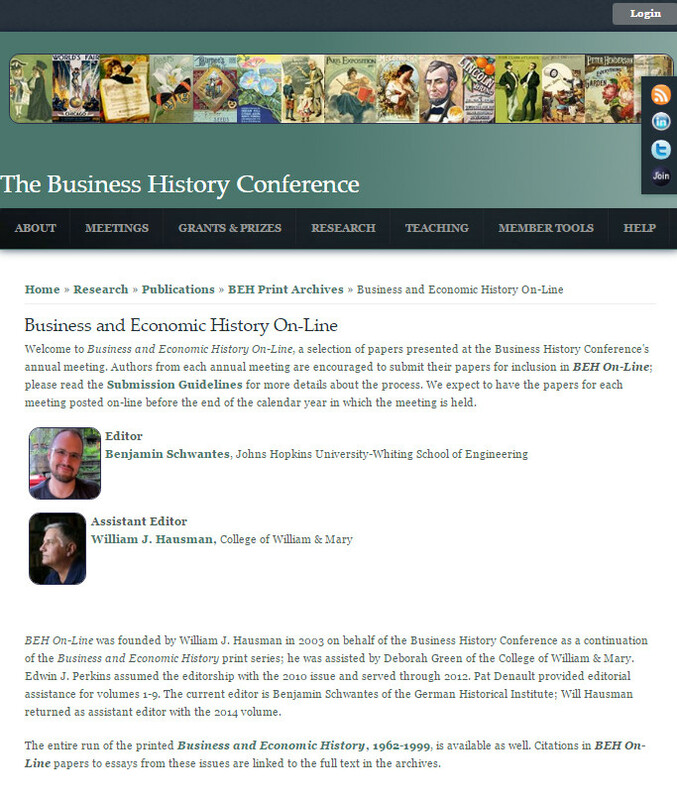 "Foreign Business and Patent Management before WWI: A Case Study of the General Electric Company", Kansai University Review of Business and Commerce 11, (77-97). 2004. Nishimura, Shigehiro. "General Electric's International Patent Management before World War II: The 'Proxy Application' Contract and the Organizational Capability of Tokyo Electric", Japanese Research in Business History 21, (101-125).